Does the 2017 Ford Fusion Come in AWD? 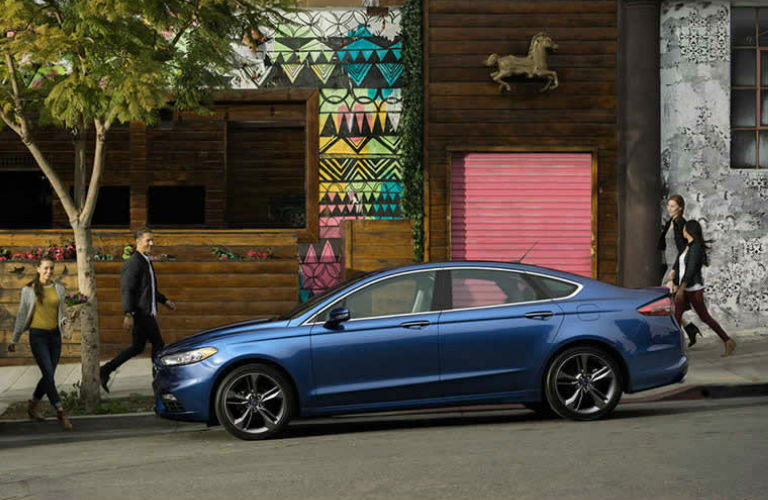 Home » Ford Fusion » Does the 2017 Ford Fusion offer an AWD configuration? Does the 2017 Ford Fusion offer an AWD configuration? 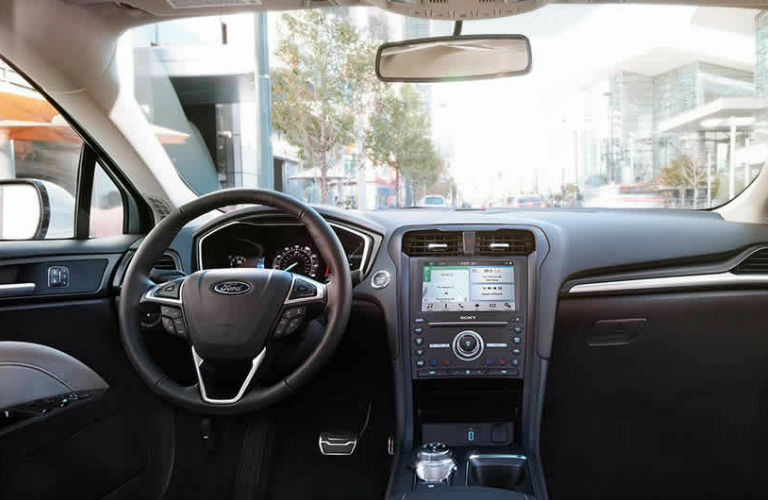 The 2017 Ford Fusion features a stunning, sculpted exterior and is equipped with thoughtful features like available smart driver-assistance systems and voice-activated controls. One of the most common questions asked about the model is: Does the 2017 Ford Fusion come in AWD? The short answer is yes, but on select trims. Continue reading for the answer in more detail. The 2017 Ford Fusion offers three EcoBoost engines to choose from: a 1.5L with standard Auto Stop-Start technology; a 2.0L; and new to the Fusion V6 Sport trim, a 2.7L EcoBoost V6. All of the engines combine three different technologies–turbocharging, direct injection, and twin independent variable timing– to enhance performance and efficiency. The 2017 Ford Fusion engines are mated to a six-speed SelectShift automatic transmission with available steering wheel-mounted paddle shifters, and the engines produce anywhere from 175-horsepower to 245-horsepower depending on which engine is chosen. The 2017 Ford Fusion come standard with Front-Wheel-Drive, but Intelligent All-Wheel-Drive is available on higher trims. Intelligent All-Wheel-Drive is available on the 2017 Ford Fusion SE, Titanium, and Platinum trims, and standard on the Sport trim. We’ve included a list of the key features of each trim below to help drivers decide which trims best fits their needs. Key standard features include push button start, a rotary gear shift dial, a 10-way power driver’s seat, and a 6-way power passenger seat. 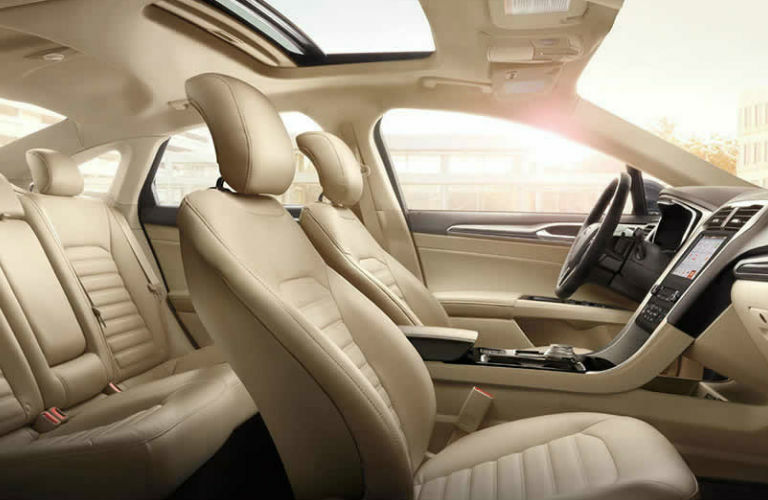 Key standard features include push-button start, SYNC 3, sport seats with leather seating surfaces, and a Sony premium audio system. Key standard features include push-button start, 19” polished aluminum wheels, cooled front seats, a heated steering wheel, adaptive cruise control, Pre-Collision Assist, and more. Key standard features include a 2.7L EcoBoost V6 engine, Intelligent AWD, push-button start, sport seats with suede and leather, active noise cancellation, and more. Visit Western Slope Auto to check out the 2017 Fusion or get behind the wheel with a test drive! This entry was posted on Tuesday, November 29th, 2016 at 12:16 am	and is filed under Ford Fusion. You can follow any responses to this entry through the RSS 2.0 feed. You can skip to the end and leave a response. Pinging is currently not allowed.